There are two groups of Tajiks in Belgium. One group is from Tajikistan, a former Soviet Socialist Republic that gained their independence in 1991 with the downfall of the USSR. They began arriving in Belgium in the early 1990s. The other group is Tajiks who originated in northern Afghanistan, and they are trying to flee Taliban rule. Most of the Afghan Tajiks are in Brussels or Antwerp. Recent arrivals are sometimes holed up in churches. Tajiks from Tajikistan have been able to learn the local language and begin their new lives. Some are showing their artwork at the Tajik embassy to spur people on to having an interest in their art, culture, and history. The staff at the Tajik embassy hopes this will encourage tourism in Tajikistan. The Tajiks who have fled Afghanistan are often stranded anywhere that will take them in as refugees. They are desperate to stay out of Afghanistan because of the murderous Taliban forces. The Tajik language is closely related to Dari and Persian, both Central Asian languages. 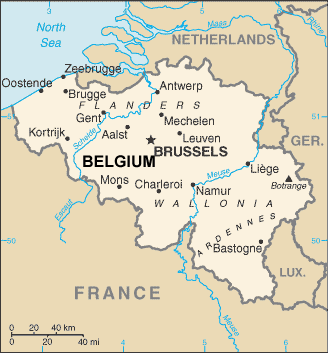 In Brussels, those who have lived there for any length of time usually learn French or Dutch. At various times in their early history the Tajiks have been Zoroastrians and Buddhists. Tajiks are Sunni Muslims, but not good ones. During the 70 years they were under control of the atheistic Soviet Union, most had little contact with their Islamic roots. Secularism has followed the Tajiks into the post-Soviet era. Since they had a long history without Islam, they are not as dedicated to this religion as some other Muslims. A minority of Tajiks are Shi'ite Muslims. Afghan Tajiks need to be taught marketable skills so they can contribute to the industrialized Belgian economy. Europe is saturated with people who can only do manual labor. Tajiks in Belgium need someone to take the gospel of Jesus to them and disciple them in His ways. 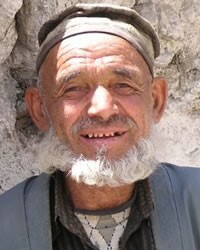 * Pray for the Lord to raise up believers who will spend years with the Afghan Tajiks and teach them marketable skills. * Pray for believers to show them the way to follow Jesus. * Some Afghan Tajiks have been given refuge in Belgian churches. Pray that believers will tell them about the Savior who is worshiped in these church buildings.View Tajik in all countries.